We’re welcoming 2019 with a giveaway! 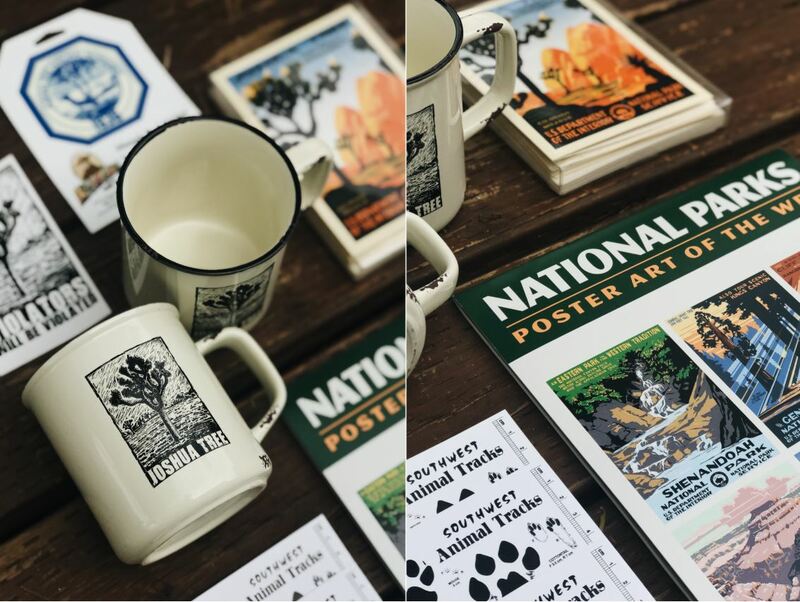 We believe one of the best ways to support our parks during the current shutdown is by giving you the opportunity to take a little piece of our national parks home with you! Today, our giveaway bundles feature amazing goodies collected in Joshua Tree National Park. From magnets to mugs, calendars and postcards, you do not want to miss entering to win one of these two packages! Follow the steps below for your chance to win big! 2. Comment with the name of the bundle you’d like to win on our Instagram post here! 3. That’s it! You’ve entered the giveaway! 2019 Joshua Tree National Park Calendar: This calendar is packed with stunning images of Joshua Tree National Park. From Cholla Cactus Gardens to Ryan Mountain, Heart Rock and the Rocky Bajadas, these timeless images will be with you all year long. Salton Sea Map: Want a vintage Salton Sea map for your RV? Use it as decorative wallpaper or leave it out for your guests to peruse. The map is packed with information about archaeological sites, endangered species, the Imperial Sand Dunes as well as places to BLM camping options. The 2013 map is still relevant and features a ton of insight about the Southern California oasis. California Desert District Map: This map is a stunning topographic map showcasing highways, roads and structures of California’s deserts, as well as water features, recreation sites, contours and elevations and a guide to Sheephole Mountains. 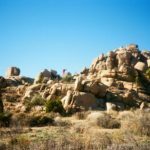 There is an entire section titled, “Welcome to the California Desert,” that offers incredible insight on BLM land, National Parks, State Park and SVRA camping. Postcard Pack: This set of 13 Postcards is ideal for travelers! If you enjoy sending postcards to friends and family while you’re on the road, this is a win for you. Each postcard features a different national park. Make a game out of the cards – only send out the postcards for places you’ve visited and put the remaining parks on your RV route! Joshua Tree Magnet: This handmade Joshua Tree magnet is perfect for your RV refrigerator. It’s durable and beautiful, making it both nice to look at and practical for all picture and recipe hanging needs. Joshua Tree Coffee Company Car Freshener: Local brewer JT Coffee Company wants you to have the luxury of enjoying the sweet aroma of their local coffee everywhere you go! Put this air freshener on your rig’s rear view mirror and bask in the deliciousness! You’ll be able to experience the smell of this desert town before you ever make your way there. How cool is that? 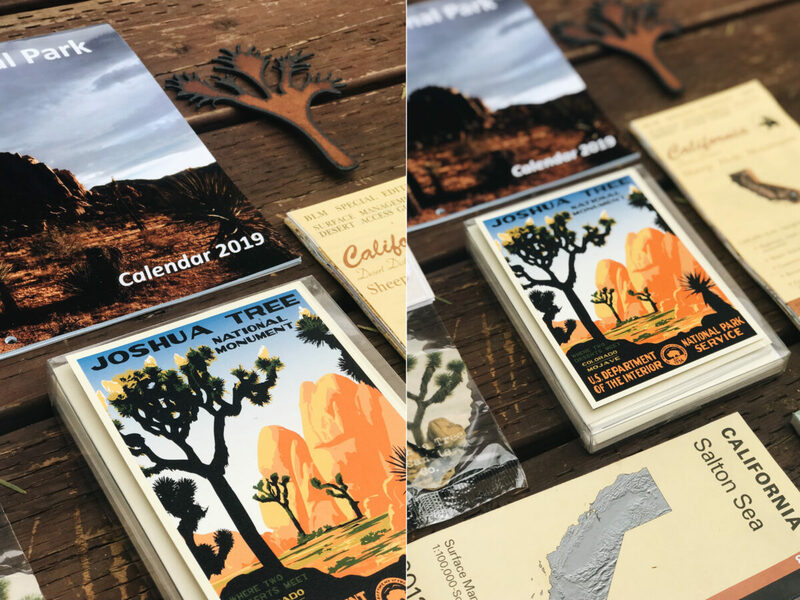 Travel Notebook: This beautiful, compact travel notebook comes straight from the Joshua Tree National Park visitors center. Use it to journal, track wildlife, keep your Yahtzee score… the possibilities are endless! Joshua Tree Mugs: These two Joshua Tree mugs are perfect for RVers. Enjoy your morning coffee with this set of stylish camp mugs. Bonus – they work great for campfire drinks as well. Pour in a little wine or opt for a whiskey and honey drink and you’ll be sure to have a warm, enjoyable night under the stars. 2019 National Parks Calendar: This calendar will look fantastic on your RV refrigerator! Each month you can explore and learn about one of our nations treasured national parks while planning your next road trip. Can you say win, win? Southwest Animal Tracks Postcard: This compact postcard is ideal for young kids. Use it as a teaching tool when hiking to point out wildlife tracks. It even has a ruler on the side for all your nature measuring needs. Postcard Pack: Want to send loved ones postcards from the road? This 13 count postcard pack featuring national parks is made just for you! 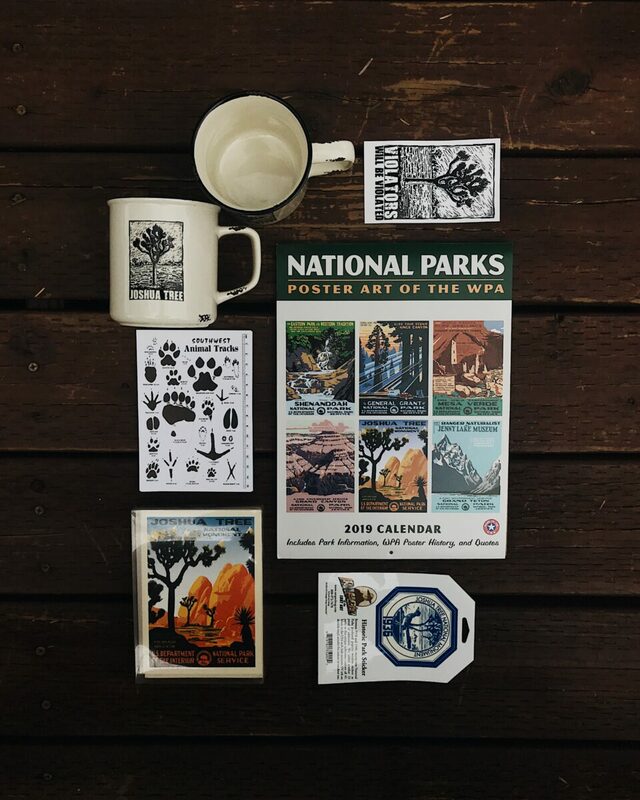 From Joshua Tree to Glacier, some of our nations most beautiful parks are represented in this awesome bundle. Joshua Tree Sticker: Stickers are made for travelers. Let this cool Joshua Tree sticker be the first of your collection. Place it on your reusable water bottle, cooler or travel notebook and have it serve as a reminder of all the amazing places you’ve traveled. Vintage Joshua Tree National Park Sticker: This historic park sticker is a special one. Created by the U.S. Department of Interior, the Joshua Tree National Park sticker features the year the park was opened and the parks’ iconic wildlife. Are you a night owl? Check out our RVer’s Introductory Guide to Stargazing to learn everything you need to know about taking in the beauty of the night sky! 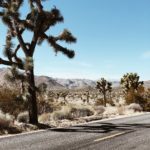 Hey Buddy!, I found this information for you: "Win Big with This Joshua Tree Giveaway". 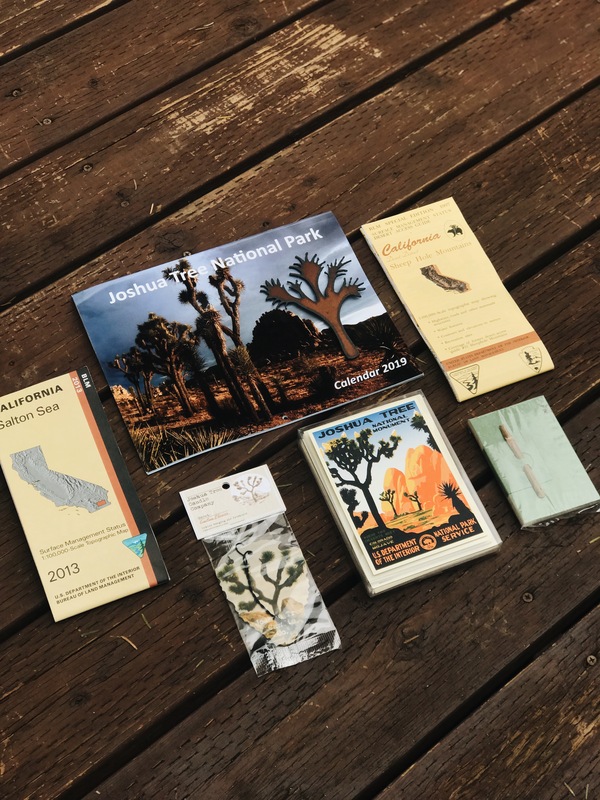 Here is the website link: https://experiencelife.lamesarv.com/2019/01/win-big-with-this-joshua-tree-giveaway/. Thank you.